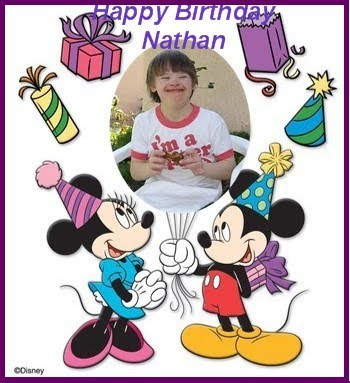 Canadian Blogger: Nathan Mac Is Fourteen Years Old Today! today is a big day in idaho for mr. and mrs. mac and their whole family as they celebrate their gift from the lord, nathan's 14 th birthday. it seems just like yesterday that we were all celebrating his becoming a teenager! he has put a very busy year in, going to school, and growing in to a very delightful and handsome young man. nathan, here is a nice cake for you. if you notice there are fifteen candles burning brightly on this cake. you may blow out 14 of them and then little jacob can blow out the last one, ok little buddy? 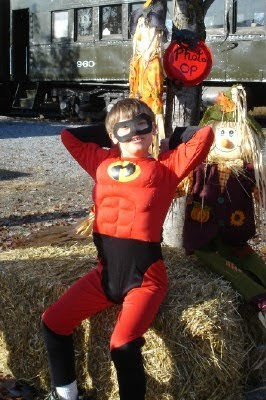 did you all know that nathan is quite the hero? here is a post that i especially loved that his mom put it october 25th. Play and imagination are great tools for children to develop. Yes, some use their imagination in such a way as to become something outside their ordinary capability. Take my son, Nathan, for example. He is rather standoffish most of the time until you are invited into his social world. In this world, he is just an average (well maybe not so average .. but for him, it's average ;) kid with some of the similar likes and dislikes as any teen: A girl he's sweet on; the most current movies (albeit, still in the Disney mode); video games (OK, not the violent ones), and so on. Then there is his imaginative side. The one that comes out once in a while when he dons his 'Mr. Incredible' costume. A macho side that struts with his (fake) pumped up muscles to show the world that 'he's all that' (to quote a passe teen phrase). The imagination at play is hysterical from my view but important none the less. It shows me a more 'typical' side and what Nathan is capable of. Yesterday our family went on a scenic fall train ride ... and for a few moments Nathan was able to SHINE while he pretended to be Mr. Incredible. Then the spell was broken when some nearby train patrons decided to laugh and cackle out loud SO much as to send him back 'inside' his being. Back to a standoffish little boy that has quirky behavior (autistic traits) and needs the protection of his family. But, oh for a few moments, he shined brightly! 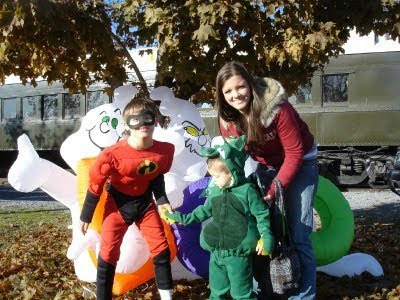 for sure and nathan is a hero to his little nephew, jacob and a treasured little brother to his big sister, elizabeth! the family and he celebrated a great christmas...a white one i do believe. 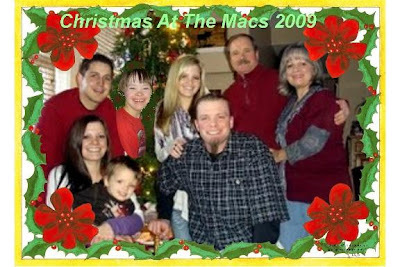 when i saw the family christmas picture that mrs. mac had posted, i noticed that the little laddie wasn't there. when i read that he was a little camera shy and had escaped the scene, i soon found him and changed his mind about not only being part of the photo, but also giving the camera a real big NATHAN smile! finally i must put another bit of writing that mrs. mac had about her precious child. this video is for you mrs. mac.. Happy birthday dear Nathan. May you have a good time with your family. That song was very special. Happy, happy birthday to Nathan. Hope Mr.Jim will sing him a birthday song. 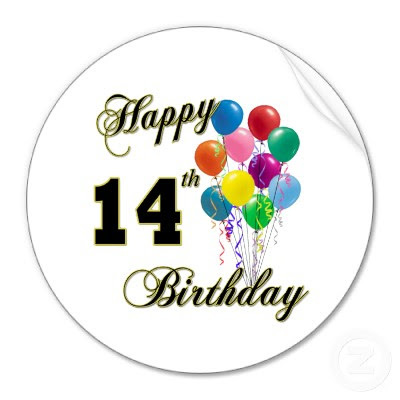 Happy Birthday to our favorite 14 year old!!! I do believe that he is the adoped child of the Scarf Sisters..we love him dearly! Beautiful tribute Terry...you're the best! How sweet you are Terry! Happy Birthday to Nathan! Awww. How nice Miss Terry. Nathan had THE best day. He was so well behaved at the store and restaurant for lunch.